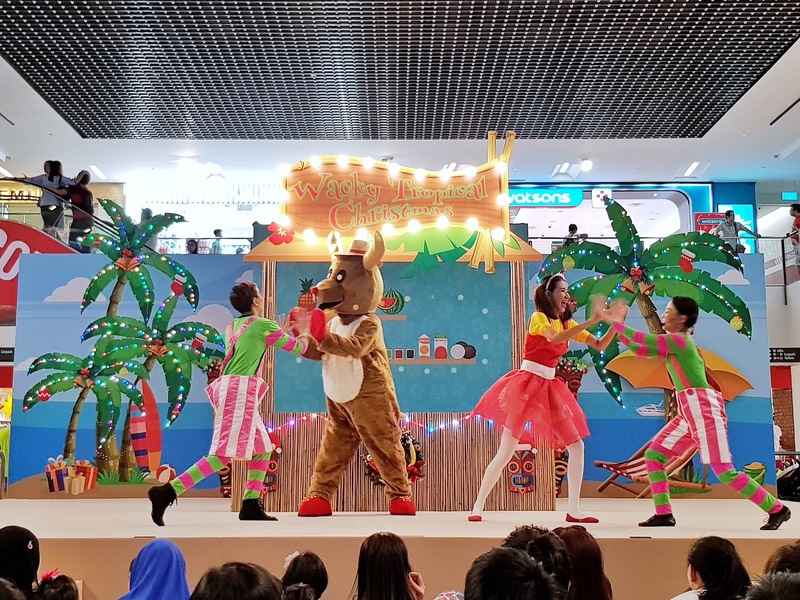 The kiddos took part in a fun kid's party, sang and danced along with Santarina and her friends, and even met up with the minions Kevin, Stuart and Bob for a group photo at NEX last week! Dance and sing along with Santarina and her jolly friends on a beach holiday, daily at 1pm and 7pm and groove with life-sized animal balloon floats. The fun doesn’t end there! 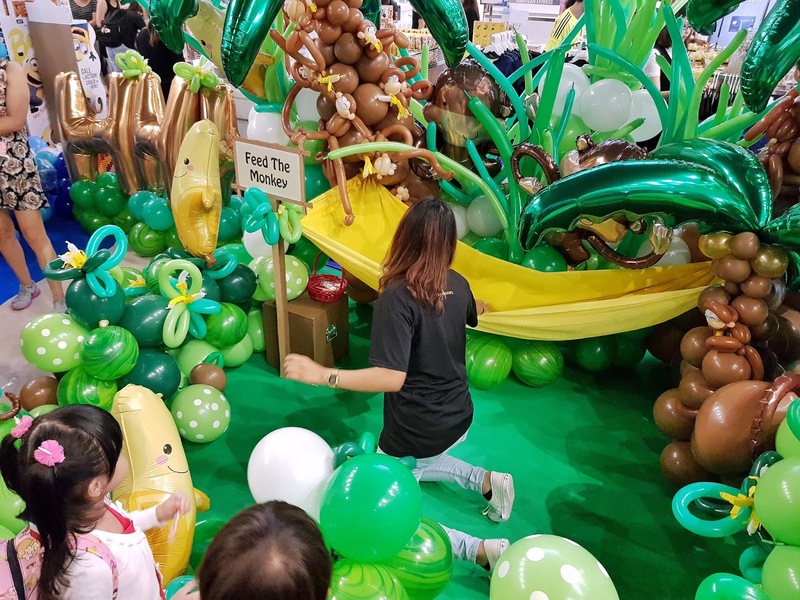 Step into the Tropical Balloon Land from 12pm to 8pm daily and enjoy activities such as waterfall fishing, monkey feeding and pineapple golf. Don’t forget to grab a photo opportunity at the Surf & Shoot! booth, where you can ‘surf’ on a wave made of balloons. 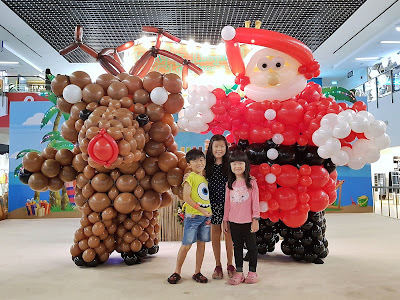 Surprise the little ones and let them get creative at the Kids’ Party happening daily at 4pm, where 30 children will get to play with Santarina. 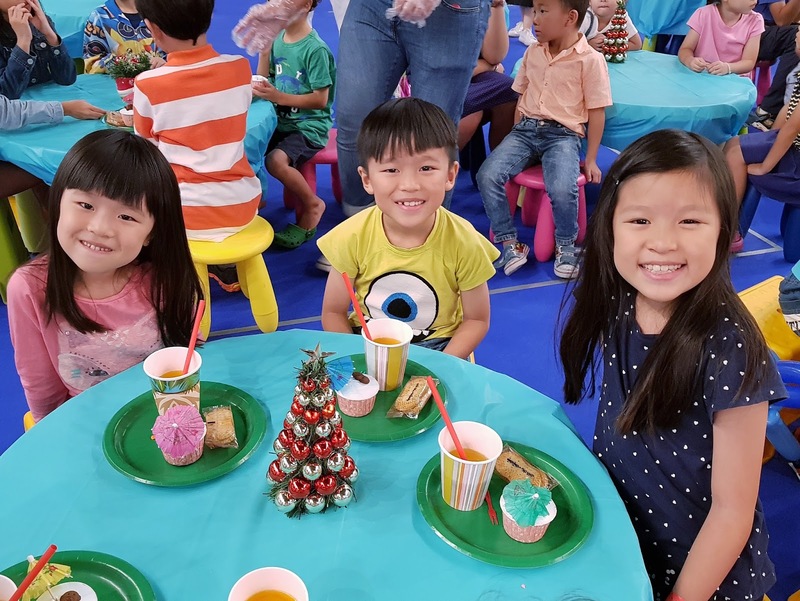 The tea-time activity is complete with entertaining Christmas songs, yummy ‘catch of the day’ snacks and craft-making*. Every child will bring home a balloon sculpture, handmade reindeer head band and a Christmas Sand Bucket filled with treats – perfect for outings in sunny Singapore this December! *Redeem a Kids’ Party pass with $50 minimum spent in one receipt. 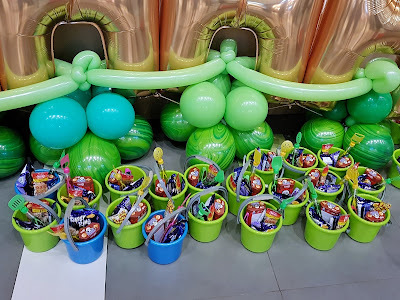 Limited to 30 kids (aged 4-12 years old) per party. Each pass admits 1 kid only. All passes are available 1 hour before each session from the Atrium, Level 1. Strictly 1 pass per shopper/NRIC per day. 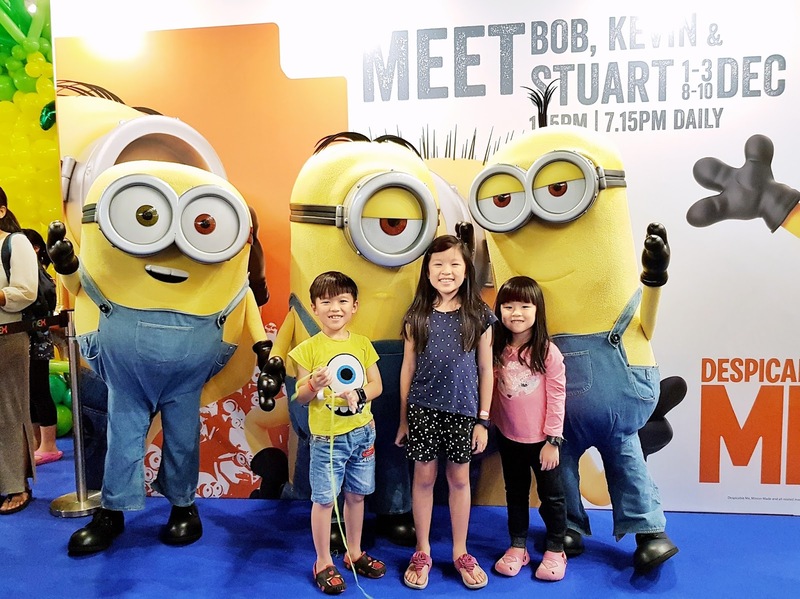 Your favourite Minions – Kevin, Stuart and Bob – will be visiting NEX from 1st to 3rd December and 8th to 10th December at 1pm and 7pm.Redeem a One in a Minion photo pass to get an up-close and personal experience with these adorable yellow characters*. For more Minion fun, head down to the NEX B1 Walkway near KFC to guess the number of Minions plush there. One lucky winner will walk away with a $500 nex Voucher. Visit NEX Facebook to find out more. *Redeem a photo pass with $30 minimum spent in one receipt. Photo passes are limited to 50 passes per session. Each pass admits a family of 4.All passes are available 1 hour before each session from the Atrium, Level 1. Strictly 1 pass per shopper/NRIC per day. For shoppers busy with their last-minute Christmas shopping, we’ve got another great reason for you to spend more at NEX! Spread the Minions festive cheer with your friends and family. Stand a chance to win a 5D4N trip for two at the Minions Theme Park in Osaka, Japan,when you participate in our exclusive lucky draw*. Double your chances by simply charging to your American Express Card#. If it begins drizzling in this tropical paradise,take shelter with the NEX Inverted Umbrella!The exclusive umbrellas can be redeemed with a minimum spend of $200 or $350 (if including Cold Storage and Fairprice Xtra receipts) and American Express Card members# need only charge $150 or $200 (if including Cold Storage and Fairprice Xtra receipts). *Only applicable with every $50 spent. Maximum 20 chances per shopper/NRIC per day or 40 chances per American Express Card Member/NRIC per day. For American Express Card Members, payment must be made by American Express Card issued by American Express International Inc in Singapore (excluding American Express Corporate Card and American Express Cards issued by DBS Bank Limited,United Overseas Bank Limited and Citibank Singapore Limited). #All spending must be charged to the same American Express Card. During this festive season, let’s not forget to embrace the spirit of giving. NEX is partnering with Make-A-Wish Foundation® Singapore (MAWSG) to make giving back an easy and enjoyable experience for the family. Take home an 8-inch Minion plush for $10 or a 12-inch Minion plush for $20. Your donation will go towards making a child’s wish at MAWSG come true this Christmas. It was definitely an enjoyable afternoon for the kiddos! 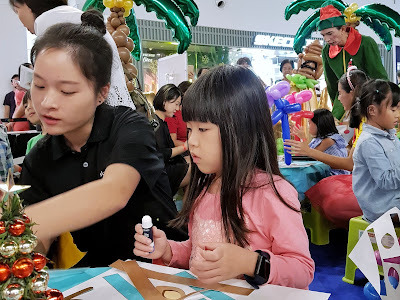 Thank you NEX Singapore for inviting our family over!